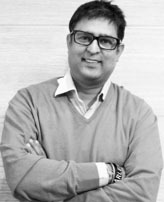 Ogilvy has appointed Ranjeev Vij as Managing Partner of its Delhi office. In his new role, Vij (pictured) will report in to Arora and will be responsible for the running of the Delhi office operations along with recently appointed Managing Partner, Amarinder Butalia. With over 24 years of experience across Advertising, Digital, Consulting and PR, he was leading the Zeno Group in India, in his previous role. Besides contributing to and shaping a number of brand journeys, Ranjeev is also responsible for the setting up of Proximity – BBDO India’s Digital, CRM arm and also for starting the Digital Marketing Services unit for Cognizant in the UK, in his earlier stints.